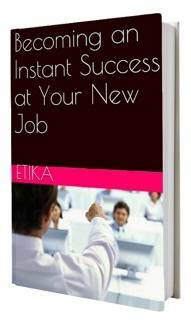 Regardless of who you are or where you work you never want to get stuck in your career. Developing a corporate development career path is essential for your wellbeing and future career prospects. This can only be done by identifying why some managers never get promoted, and are doing the same thing year in, year out and why others are promoted above them. As well, you may wonder why you are being told to wait just a bit longer for your own corporate development career path and what you have done to create this opinion. You have worked hard and been dedicated to the success of each and every project you’ve worked on. You have built up your department successfully and you are well liked. So, what is going on? What have you done wrong? And, should you be worried? Yes, but read on. There are the top 5 reasons why mid-level managers like you are stuck in your career. Read through them below and start making plans to change your career path today. All company positions can be viewed like a pyramid. Sure, there are plenty of chances for career advancement at the bottom. Even mid-way up the pyramid there are positions that you have applied for and received. However, close to the top the career advancement opportunities begin to become less and less as the pyramid becomes narrower. This makes sense, but it doesn’t have to mean that you are one of those middle managers who never improve their career. Let’s face it, you were good enough to be promoted from a junior role to a mid-level one. The pyramid was still wide at that lower level and the competition was not quite as tough. There seemed to be more opportunities along your corporate development career path, but not anymore. You need to move up and find a way to do so using your existing skills and new ones you are going to research and build on. This will ensure that when senior management are scanning through prospective candidates your name is going to appear front and center. Some people are driven from day one to succeed and do well. They never take anything for granted and know from the day they begin at a junior level that it is only going to be temporary. They are on the way up, and they know it. You need to develop the same career goals and you need to compete harder. In truth, it’s not enough to do a good job or even an excellent job. You have to figure out how to compete with other mid-level managers by showing that you have the skills and expertise they don’t, and showcasing them to your colleagues and senior managers. 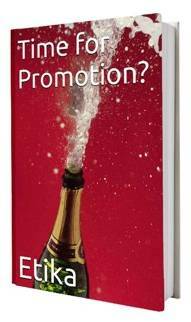 To gain the next promotion it is essential that you stand out in the crowd and get noticed. Doing your job well is not enough. You need to find out how the company works, what the company prizes in senior managers, and become that one person it is looking for. Often juniors are promoted despite their weaknesses. Their limited skills are recognized, as are their talents and achievements. Their flaws are also noted, but senior managers figure these would be worked out and eliminated in a mid-level manager position. This might ring true for you and the stage your career is at now. However, if you take the time to study the skills and expertise of the senior managers above you, you will find that they have grown and developed well beyond their former junior selves. When you apply for a position as a senior manager you will be scrutinized from head to toe. As the pyramid narrows there is no room for anyone to make mistakes or carry their flaws like baggage. Those in charge of promotions are, for the most part, unwilling to compromise, and why should they? Make sure that you have developed what it takes to be a senior manager. This may take time to learn thoroughly, but look at it as an investment which will ultimately give you the career advancement you so desire. If you’ve been in your present position for some time you may not have realized that the rules have changed. You may not know anymore what is truly required for a promotion, and that what defines you as “professional” has changed. There is no doubt that you are good at what you do. You might be the best sales manager or the most innovative programmer, and this has got you to where you are today. But, is it enough? To move up the ladder you’ll need to add sophisticated managerial skills to your portfolio. What helped you in the past has become less important, and while you were busy doing your job the goal posts have been shifted and your skills are no longer relevant or applicable for senior positions or they are lacking in some way. Demonstrating that you’re a well-rounded manager is the most important thing you can do now. You need to focus on and refine your management skills and show that you’re worthy of being a senior manager. The last thing any successful manager has done is rest on their laurels. While it is okay to pat yourself on the back and appreciate how far you have come, it is important that you keep striving towards your next career advancement. So far your talents and achievements have served you well. 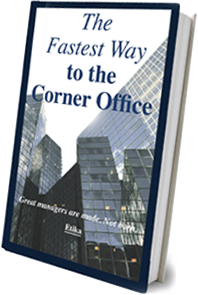 You have been noticed in your company and been promoted to where you are now. It would be tempting to sit back and take a career break, but don’t. If you do this you will find yourself being ignored and even taken for granted. Your senior managers will not promote you because you were good in the past. They want to see how you are taking the initiative and growing and developing your career on your own. Managers who do not take a proactive part in shaping their career fall into career coma, never to wake up again to new opportunities. It is important that you don’t wait for someone to shake you out of your comfort zone. Find ways to actively take charge of your career path. Let’s face it, your next promotion is all up to you. No one is going to help you get out of a rut. Embrace the new challenges that lie ahead and that next promotion will be yours.